Holly Davis was born and raised in Pasadena. She was the middle of three daughters born to Barbara and Morton Raymond. Holly graduated from Pasadena High School and went on to earn a bachelor’s in physical education with an emphasis in dance from USC. While there, Holly was president of the Kappa Alpha Theta sorority. 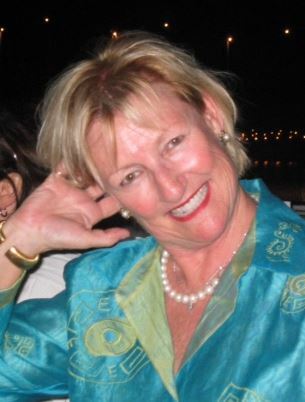 Her husband, David, also attended USC and was president of the Kappa Sigma fraternity. They met when her sorority and his fraternity performed together in a satirical musical revue to raise money for local children. Holly and David celebrated their 49th wedding anniversary on June 10, 2016. Holly was a proud citizen of Pasadena, where she and David immersed themselves in community events, organizations and charities. She was a member of the San Marino League for nearly 35 years, serving as president from 1990-92. One of Holly’s great passions was her involvement in Hillsides, an organization dedicated to improving the overall well-being of vulnerable children, youth and their families. She served three six-year terms on the Hillsides board, and every year at Christmas, Holly and David adopted a Hillsides family, providing them all they needed for a happy holiday celebration, including gifts from their holiday wish list. Holly enjoyed the arts, traveling the world with her husband, collecting dance memorabilia, gardening, cooking, entertaining and spending time with her children and grandchildren. She was a warm, kind spirit who had a profound effect on everyone she met. She was well-known for her grace and compassion as a welcoming host to people and pets alike. Holly passed away Friday, Dec. 2, after complications from her courageous battle with idiopathic pulmonary fibrosis (IPF). She is survived by her husband, David Davis, their two children, Jason Davis and Jessica Himebauch and their spouses, four grandsons, her beloved dog Scout, and her two sisters, Jodie FeaturesCavanagh and Robin McDonald. A private family memorial service was held on Dec. 22 and a celebration of Holly’s life will take place today at 1 p.m. at a private club in Pasadena. In lieu of flowers or gifts, the family asks that donations be made to Hillsides (hillsides.org) or the Holly & David Davis Endowment for the Arts at the Pasadena Community Foundation (pasadenacf.org).